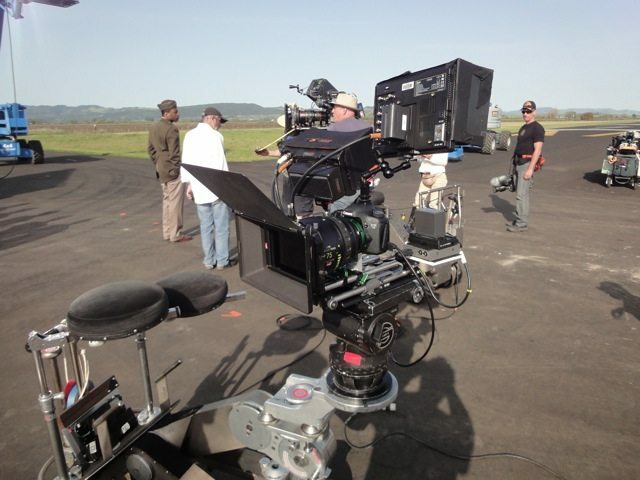 Lucasfilm’s “RED TAILS” that I helped shoot on Canon DSLRS open’s 20th January in the US! Go see it! The first narrative feature that I have ever worked on. Lucasfilm’s “Red Tails” trailer was released on line today. I was the re shoot second unit DSLR DP on it using Canon DSLRs and also camera C for the reshoots on the 1st unit. Check out my blog post about it here! Also check my short film “Legends” at the bottom of this post, which helped me land the gig and of course my Skywalker Ranch blog post which was the film that I shot in a day at cut the next morning and played on the big screen to George Lucas, Rich McCallum and Quentin Tarantino (!) 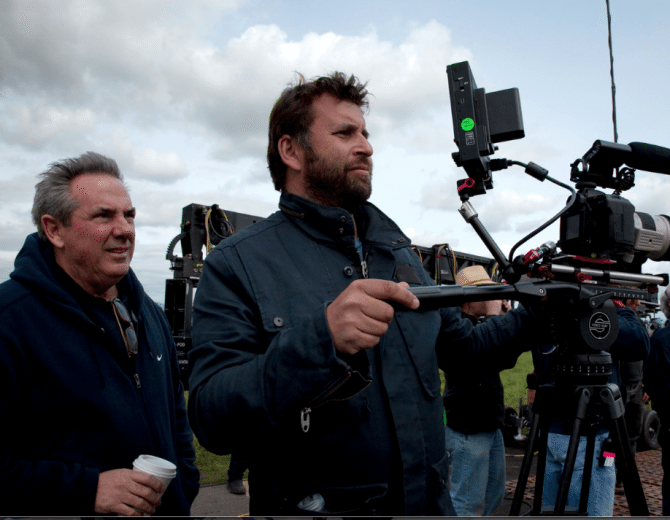 that convinced Lucasfilm that Red Tails could use DSLRs! Oh…do download the 1080 HD version and stick it up on your biggest screen. LOOKS AMAZING! 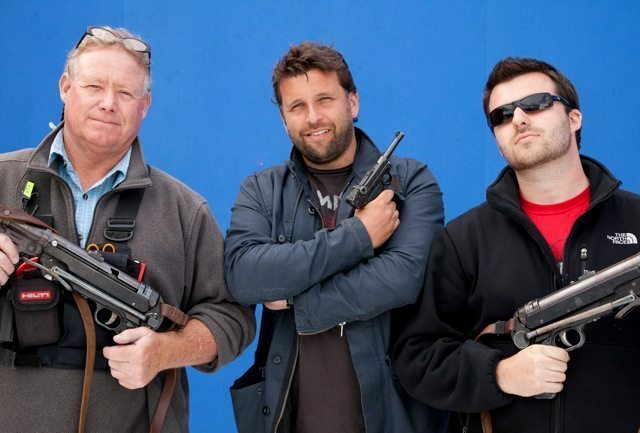 Behind the Scenes on Lucasfilm’s Red Tails with the Canon DSLRs from Philip Bloom on Vimeo. Oh and if you are wondering about my imdb credit. That will be down to union rules am afraid…oh well!! Been following you only a short time, but this looks like a big break for you. Congratulations. Amazing how you got there. Love it. Good stuff!! look forward to hearing about em as the details come! congrats again, look forward to checking this out. Congratulations Mr. Bloom, that looks absolutely amazing. I think it’s great that your first narrative feature is a Lucasfilm project. 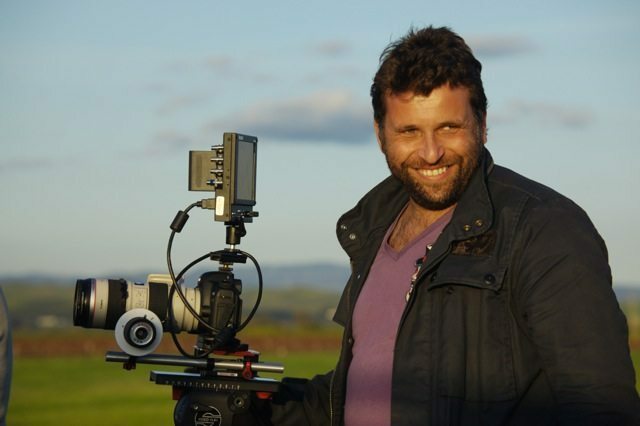 It was your initial video of Skywalker Ranch that introduced me to your site (and the awesomeness of DSLR video). Congrats Philip! This is a fantastic accomplishment for you. You have shared knowledge abundantly and selflessly. Looking forward to the release! All the best with your future endeavours. We will be rooting for you! Fantastic sir! Do you think a Panasonic GH-2 could have competed in that environment alongside the Canon’s? Maybe not GH2 uses AVCHD and might not do as well when filming the sky. I think Philip said something in Part one of these camera reviews about the AF100. Sony F3 firmware 1.1 released and FS100 starts shipping! Probably shooting more green screen than sky. GH2 could have done the same job as the 7D here, it actual resolves more detail and a cleaner looking image without moire. Because it’s mirrorless you can use PL mount lenses on it without taking out the mirror. So yes is the short answer! No way they would have let us use the GH2 on this. Promise you. No matter how many facts, figures etc you throw at me! This is coming from a GH2 lover! 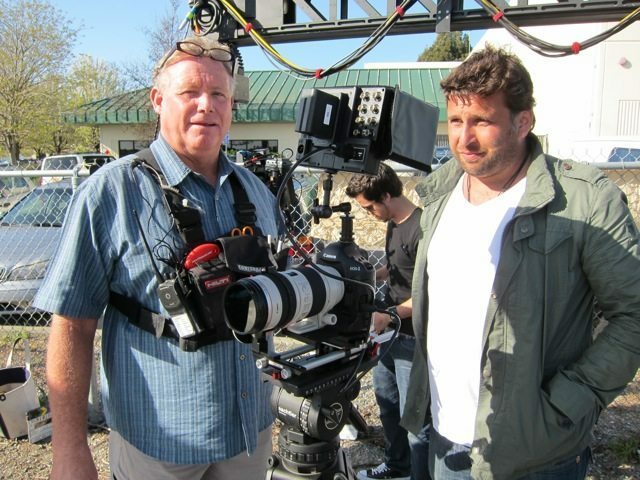 But, in your opinion, would the GH2 have been just as technically capable of pulling off the shots? This looks EPIC Phil!!! well done on this, massive KUDOS!! In regards to the GH2 is it mainly down to its size? i feel the GH2 can do most of what the 5D and 7D can do and sometimes better, so is it mainly because its just a small camera on set over the performance or is it the highlight issues? P.s you liked the head-cam video i shared on facebook? you have to try something like that, i would be up for helping out if you do!!! I don’t think it’s a matter of size, I think it’s a matter of Depth of field and Latitude. I use a GH1, and when I sit down and edit, I wish that I had more Latitude for color correction and Grading. The sad truth of the Panasonic Mirrorless Camera Systems is that they make some pretty contrasty images. All that being said, the GH1 and GH2 are very capable cameras, just not quite up to Cinema Standards, not as much as Canon. Looks awesome Philip! I can’t wait to see this! 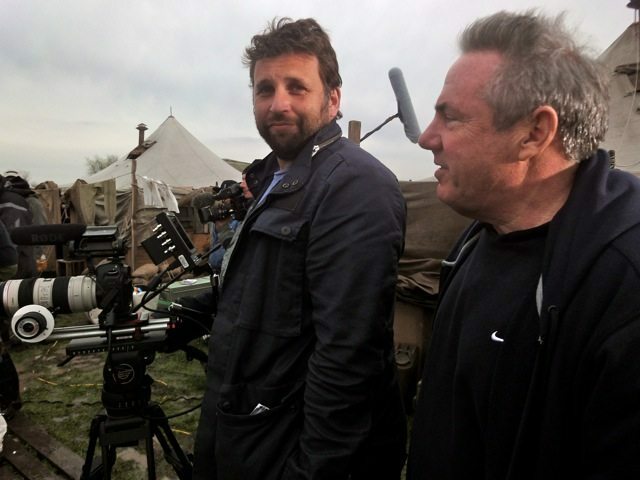 Love seeing DSLRs used in the big budget film world. If thats a simultaneous release in the UK I now know what I am doing for my birthday! Fantastic stuff. Well done and looking forward to seeing the film. From the still shots one can easily determine that special acknowledgement should go to the Canon engineers for building such sturdy hotshoes. Those large Marshall monitors must weigh a bit. This is so awesome! My favorite picture is you and your 5d decked out next to these gigantic cameras behind you. It’s brilliant knowing that a dslr can compete with the big dogs. That would be a TIE fighter sound, X-wings are a deeper pitched sound. 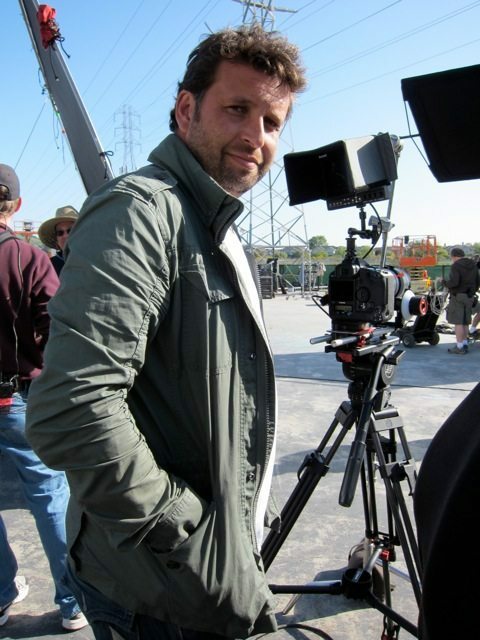 Congratulations Philip for having your shotos in Lucasfilm production! I did my wondering on which ones are Canon’s – I hope your are going to reveal it at some point, or what about a competition:)? First class! Every time I hit a brick wall with the 7D, something like this comes online reminding me it’s my lack of experience which is the problem, not the limitations of the camera. Can’t wait Phil. Still remember your post about the emails from Lucas Films. You’re the best. Keep it up. Badass AC Phil Bowen. The Man!!! I was so enthralled by the trailer and never once did any of the visuals draw my attention, which means that the DSLR footage held up perfectly. It’s a non issue. Also I have a relative that flew with those Black Airmen so it’s really cool seeing a film done about them. Glad they put the trailer on Youtube. Vimeo has too many snobs. I’ve got a vimeo plus account, but other people make it to cliquey. The shots you have in this are the ones showing cockpit views from windshield to actor. You gave that away long ago describing how the canons size made sense for the shot. What’s my prize? Great Special effects and yes Chris is right on some of the shots. The Cockpit shots of faces are probably DSLRs “Like Plilip explained on that old post” while we wont know what the others are. For all those who think that DSLRs could have made these full series, go take a walk and then re-examine. 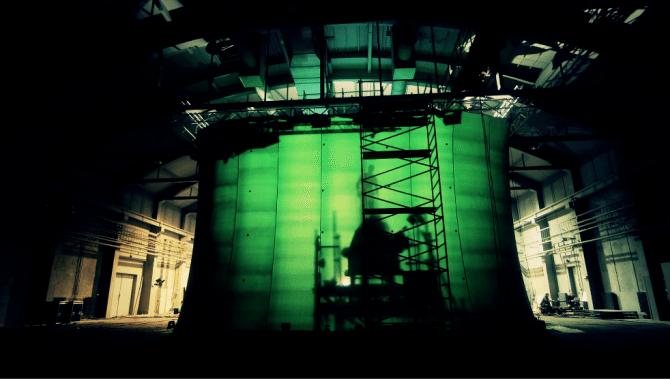 ILM & George are not going to invest millions in shots that they have to composite tons of 3D into. That’s why they use F35s and other cams like REDs to get the sky aerial plates and narrative scenes. DSLRs with fixed IQ issues will get there but not yet. The Cockpit shots are perfectly suited for these types of cams and ILM have many tricks to reduce any shortcomings on the images. Like Bloom has said time and again, not all cameras are suited for all jobs and this is a cramped case where DSLRs shined. ILM probably worked overtime on the effects the sky full of planes shots are breathtaking! Congrats on your achievement on this film 2ndU DP Bloom! holy christ i Must see the feature film! i built airplane models as a kid and obsessed about being a pilot, certain diversions ended all that, still have perfect vision at 39, alas i put it through the view finder instead of a pipper- loved the footy PB! say hi to Tom for me, -Nate. Congrats Phil what an achievement ! Personal favorite shot from Legends: old men eating ice cream. BAMF. But seriously though, it’s inspiring to see how determined you are, thank you for that. I love the fact that you just keep creating, films about picadilly square, deserted places, timelapse and so on. It inspires me to do the same. Phil, what was the go pro 3d rig you had used for? total pre-prod go pro rig on bike handlebars! Wow dude, this is awesome!! Congratulations Phil! I think this film is gonna be great!! Count me when you shoot your own film! I’m on your side!! Great trailer. The boys already want to watch the film when it comes out!! And now Nate (4) is showing me the ‘red tails plane’ he’s just made from lego! I’m not going to comment on the 5d aspect of this, rather the whole piece in general. Overall It looked good, but compared to 35mm it looked terrible. Most of the shots looked very ‘digital’ There are many digital films which look very close to 35mm… this isn’t one of them. ..and what’s with the shot at 1.00 of the planes… they look so fake, like a video game! fair enough! everything is subjective! Hello Mr. Bloom congrats for the work, maybe someday I’ll be a great DP as you, I’m always learning news things, keep with this blog forever!!! the people from Brazil have you as a reference in quality works, see you!!! A big Hollywoodian pile of clichés in terms of story and acting, I think everyone agrees on that (anyone remember Pearl Harbor? :P), but the images look very epic, must be a pleasure to watch on a big screen with surround sound! But aren’t most of your shots greenscreen shots? If so, I’m gonna have an even harder time! Amazing trailer, I can’t wait to see which shots were yours Philip! But one shot that really threw me off was @ 1:17, really LucasFilm? I gave a college amateur filmmaker friend a hard time once for creating such obvious chroma shots that looked, well excuse the word, “cheap”. It’s a shame how CGI has taken over to the point that filmmakers no longer find the difference to be monetarily necessary, because some of the cinematography in this is beautiful! Oh and I’m guessing yours are the cockpit shots? If so I Couldn’t tell the difference which is great work! Wow. Somehow way more impressive than I was expecting! Well done, Mr. Bloom. Question: what’s with the odd title on IMDB? “Advisor: camera department”. You deserve better, no??? Awesome Philip. Congrats on the gig! Is that a master prime on that tiny camera?! What Canon Zoom is that you’re using on those shots? Is it the 70-200? Nevermind this stuff. Congrats on getting your first feature. Been waiting for that, and know you will knock the proverbial Ball out of the proverbial Park. Je n’ai pas de mots, I have no words, c’est juste magnifique, extraordinaire. J’attend avec impatience la sortie du film. Thank’s Mr Bloom. Of course you have been an inspiration to all HDSLR shooters. Congratulations on the gig. BUT, Legends has THE VERY BEST filming I have EVER seen from a DSLR, and is better than several great movies. Congratulations! Great look. All my kids were jumping up and down with excitement just watching the trailer. Glad you got the chance to show your stuff on a biggie and I hope you’ll do many more. Did you use the HotRod Cameras PL7D to use the PL mount lenses on DSLR? Congrats Philip! I’m not even a WWII planes fan myself, but the trailer got me. The images are looking very impressive, the story is looking like one of those timeless pieces. Nice post Philip. Good to see the trailer finally make it out in the world! thanks Iilya and thanks for your part in this!! One of the more forgotten stories of WW II. Funny to see Cuba in it, seeing as he was in “The Tuskegee Airmen” for HBO. Hopefully it the movie will be as awesome as the trailer. Jealous of ya! So glad to see the trailer go live! Good post. external hdmi recorders? looped through the marshall? He would have recorded on CF as 5D monitoring cuts to 480p. Philip – beautiful video in your Legends short and absolutely perfect choice of the Elgar Enigma Variations (Nimrod) for the music. This powerful piece works so well with this material. As always, looking forward to seeing more of your work. Although initially I was trying to spot the DSLR shots while watching this, I soon got too caught up in the storytelling and forgot about who shot what. In other words, this looks great! Congrats on the opportunity. The footage looks great! Movie looks pretty terrible though. It looks like there’s not an original idea or line of dialogue in the whole thing. Funny how the more is invested in a film, the more by the numbers it tends to be. That’s a matter of opinion ;). I think it looks fantastic and there haven’t been many films on the subject matter actually! Philip – Great video. Congratulations. BTW, I like watching through your videos under films. 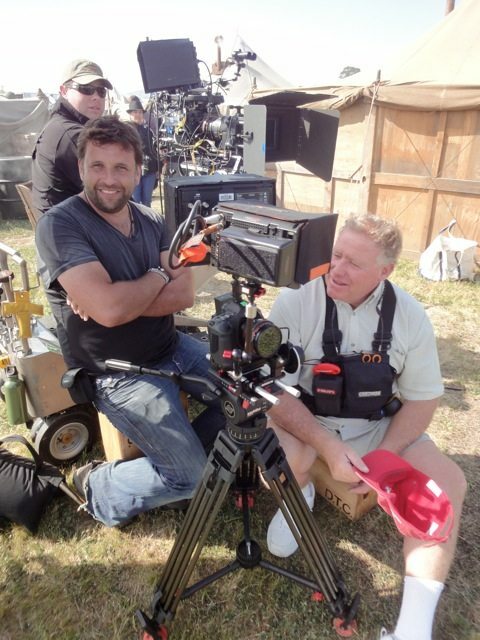 Will we see Red Epic page soon? FYI – when signing up your security question says “write the first world of this sentence…” Is it intentional? This is beautiful!! Really looking forward to seeing more! Looking forward to January 2012. Congratulations on getting to the big time. LOL…as a pilot and aviation historian I sometimes find it difficult to suspend disbelief. But then again it’s La La Land’s version of history. But hey in times like these we need entertainment and the glorification of war! Congrats Phillip, the trailer is fantastic. 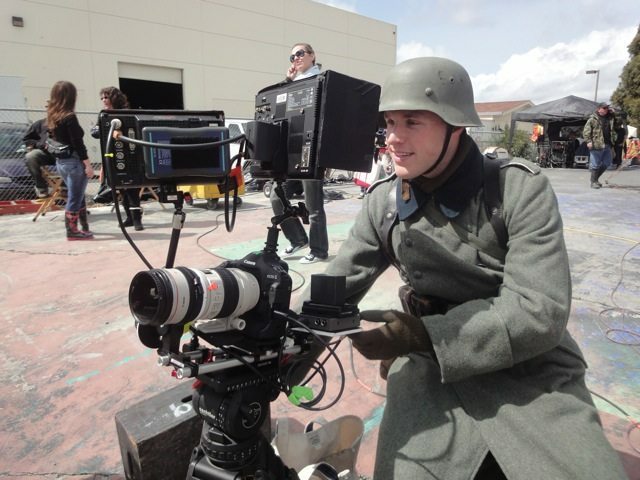 Love the Flying Legends clip, some wonderful shots, makes me want to push my 5D into the realms of the moving image. Nice work Philip. I’ve always loved WWII films and to see the German ME262 jet on screen is a treat. But… I find the dominance of CGI in the trailer really disappointing. It’s not the quality of the CGI or the fact that there’s no other way of recreating WW2 air combat images, but the shear unreality of the imagery. In historically-based films like this, the CGI “camera” shouldn’t do things a real camera would have absolutely no hope of recreating. When I saw the “impossible” physics in the CGI camera action and the unrealistic movements of the CG airplanes, it destroyed the “reality” for me. Just look back at the last of the Die Hard films. CGI has it’s place for sure, but the air combat scenes look like a HD version of a video game. Fantastic for sure, but almost cartoon-like. But… I’ll still probably go and see the movie. Great work Philip! I am 13 years old and I own a video production company and do work in local TV. I am going to be a Director of Photography when I’m older and you are such an inspiration. Why wait to be a DP? If that’s what you’re aiming for in life don’t hesitate, load up and shoot for it! You’ll have the rare advantage starting at an early age. Keep filming every moment you get. That’s how you refine your skills. Congrats on getting your foot in the door on such a big project and thanks for blogging about it all, I really enjoy reading your stuff. Before you leave a reply that is a critique of the film Red Tails, or the CGI, or the writing, the acting, etc. you should remind yourself that the point of this post has nothing to do with any of that. This post is about another victory in the HDSLR revolution. A victory because yet again, a tool available to the masses has been legitimized as a tool worthy of a Hollywood budget. So instead, thank Mr. Bloom for opening doors for us that can only be opened in this fashion. And congratulate him for reaching a career goal that many of us would give up an appendage for. Thanks for blazing the trail Philip! For the critics here, you DO understand that Philip has no authority to change any of the elements you’re complaining about, right? That those elements were worked out in pre-production months (or weeks) before Philip arrived on set? 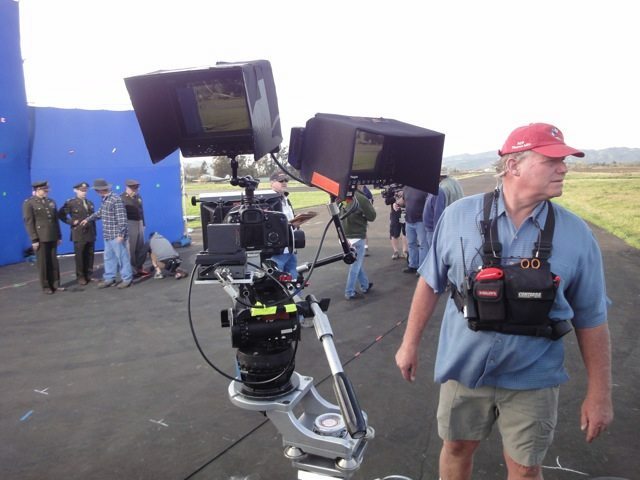 Get a grip and focus on the breakthrough issue here – DSLRs are being used to shoot major league feature films. Hey phillip! nice job I preciate a lot your work! greetings from chile! Nice work! Can’t wait to see that signature P. Bloom style work onto the big screen. I’ve dying to see this movie, not just because it looks great, but because I’ll get to see First Class footage authored by Mr. Phillip Bloom! I love your work man! Thank you for sharing so much with us all! Hope to see the movie soon in France. Nice work Mate! Looking forward to seeing the show and picking out your footage – leaning over to my wife whispering “there’s another shot”. She loves that kind of running commentary during the movie . . .
I’m loving how this film is getting bad reviews. Richard, may I ask why you take pleasure in that? Is that the sort of person you are? If so you then perhaps your belong on sites more like aint it cool news than here? Thanks. Congrats to your contribution to “Red Tails”. “Red Tails” did well as number two behind “Underworld” going into the second weekend. keeping me interested all the way. At the end of the movie, people applaused. I even watched the credits at the end and saw your name listed. I tried hard, but I cannot tell which shots are from the Canon DSRLs. So I have a few questions for you. What bitrates did you use for your footage? Did you use your flat picture style or CineStyle? Did you transcode them in CineForm or ProRes before you handed them off? What ISO ranges were you using? 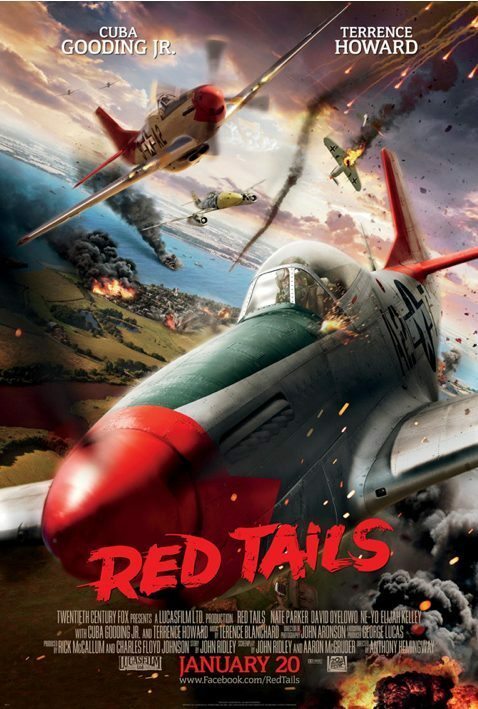 I’ve been looking forward to Red Tails for some time now. Early trailers look great, great story and facinating to watch LucasFilm explore new technologies thanks to your influence. Have you seen these comments from George Lucas about Red Tails? Philip its really funny how Cuba Gooding Jr. is on two Tuskegee Airmen Movie films. I’m going to try and make it to the theater Sunday if not I’ll go on Monday to see Red Tails. 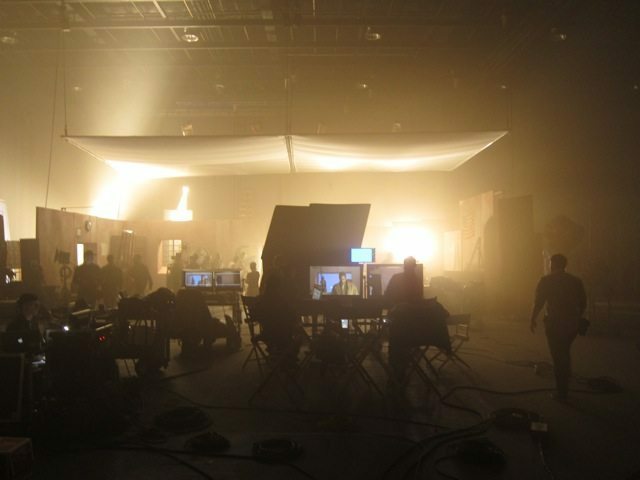 …Behind the scenes of Red Tails – hosted by George Lucas. I just registered today and this is the first blog that I read. It’s just so happens that I’m going to take my kid to see Red Tails next week. I’ll admit, I wanted to try to and spot your footage but that all went out he window in the first 36 seconds, after that I was stuffing my face full of popcorn and just enjoying the ride. But what an accomplishment! 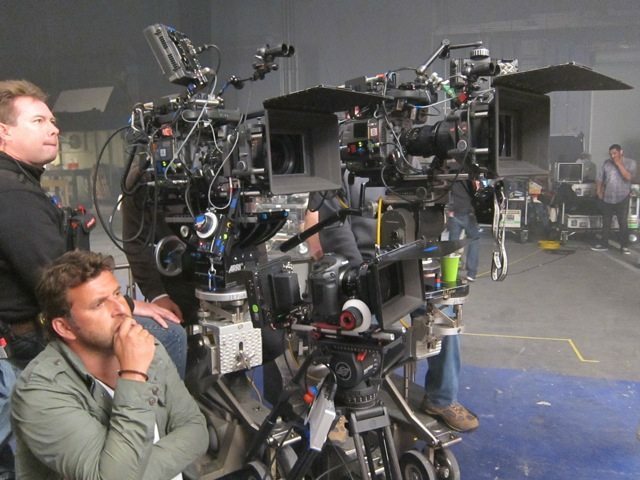 I know he’d dslrs have been on the big screen before but that was just as bolted down throwaway cameras in iron man 2. You put them to proper use and just Iike good special effects, the proof was in not being able to tell when a hd dslr shot came up.